Water is dispersed evenly throughout a Vapor Pad inside the 1042LH. 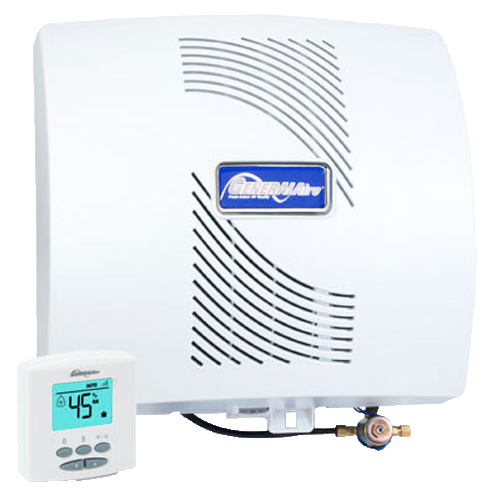 A portion of the heated air from the furnace passes through the water-soaked pad where it absorbs additional moisture and then returns for distribution throughout your home. Newly-moistened and healthier air is provided to you and your family. For Home Sizes up to 2800 Sq. Ft.
Comes with the MHX3C Manual-Control Duct Mount Humidistat. Replacement Vapor Pad (Needs to be replaced 1-2 times per season). 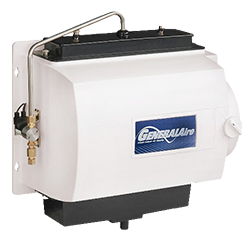 A fan inside the 1000 pulls warm air through the unit and its highly-evaporative Vapor Pad. Moistened air is then delivered throughout your home's duct system for healthier indoor air quality and comfort. 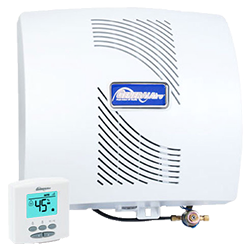 Breathe healthier with a GeneralAire Elite Series 1000 Humidifier. For Home Sizes up to 3000 Sq. 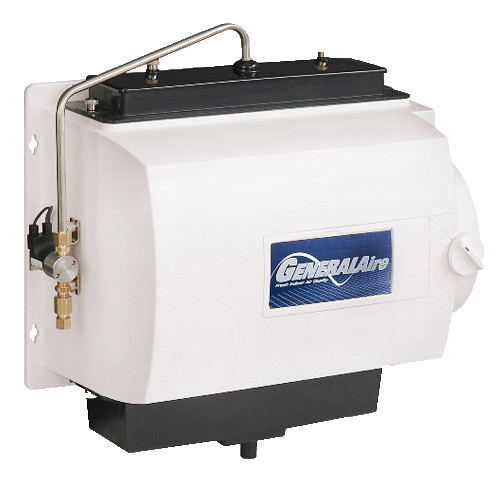 Ft.
Fan-powered unit mounts easily on the warm air plenum and delivers 18 GPD. Comes with the GFX3 Automatic Digital Humidistat. Which features a manual or automatic mode with an outdoor sensor for temperature compensating control. Integral humidity control bypass damper. Comes with a transformer, solenoid valve, vapor pad, and saddle valve. Made from DuraPlast® ultra-violet stable automotive grade plastics.